ADE, Halloween and its November! well we do not do it by halves here do we? Events in half term – more on that another day but with a break from visitors on Saturday it was ADE all the way. second lot to entire herd so far this winter. 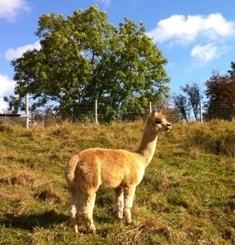 we appreciate we have had some rare late sunshine but nevertheless the Alpaca need it and especially the cria. 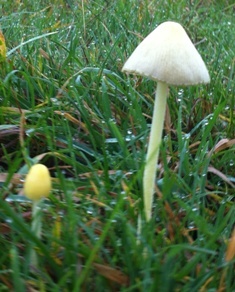 magic mushrooms and robot W H Smiths? 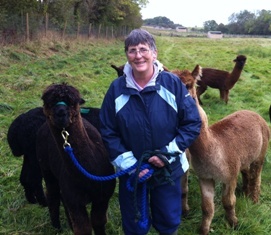 manic here as usual and half term family events very exciting, only one postponed because of the rain – not good showing round an alpaca farm in the rain because one should not open the fleece and they don’t like coming out of the shelters! 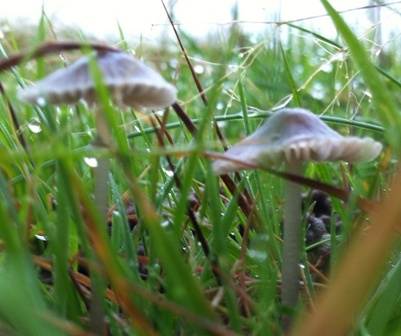 well with Halloween just tomorrow, what better subject to try the new iphone 4gs on – than some field mushrooms in the wee early hours with dew on them? Sure, the iphone 6 is out but my last phone lasted four years and this one should too, well unless they stop doing updates for it that is. Talking about updates – I went into W H Smiths today to get a new diary. We have so many bookings for next year already and I just do not want to do it on computer. little writing book old fashioned type of person I am – Dinosaur I think they call me! Anyway, I went to pay for the new diary and the lady told me to put my ten pound note into the machine. It promptly spat it out again prompting me to ask what would happen to my purchase if the cashier were no longer there. Same thing in the bank… no wonder there are so many job losses. Change is good but to lose the human friendly touch is not so good. Moving on. the iphone. 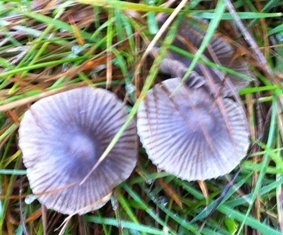 I thought these mushroom and toadstool shots rather good for that time in the morning… no fairies underneath them though! I thought they were pretty good for a mobile phone camera! 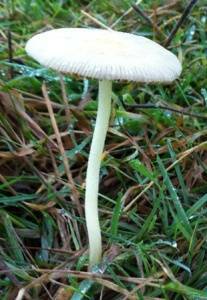 Sure Grow really works in Autumn! so what happened to the sunshine for the past two days as predicted? hmm, I think weather men/women are either being given a bum steer regarding their equipment … or make it up! plenty to do reorganising barns for winter and field shelters, the grass has shot up where fertilised which is fantastic and it is the lull before the storm. with micro chipping and ear tagging done, its critical to keep watch on the crias tags as so often they can get infected. it is no ones fault if it happens, it is just one of those things. 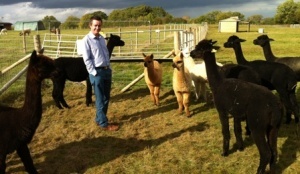 we used sure grow to my avid followers who emailed me and that was on advice from an Alpaca guru too! 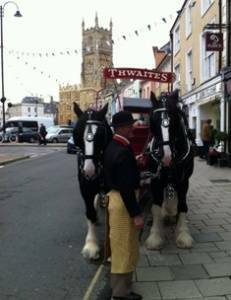 cirencester alpaca blog shire horses! well we managed a quickie into the historic town of Cirencester. Architecture, fashion, history – what more can you want from a town? 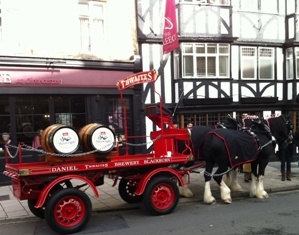 To wit – shire horses proudly on display outside the pub! well things are hotting up around here a little and I don’t mean the weather. 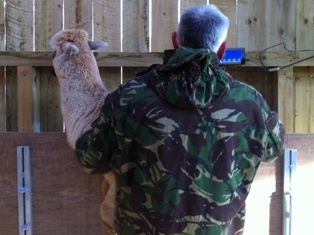 more on that another day when I have checked out what is true on the Alpaca Gossip front. so many people wanting to spread rumours – worse than Fleetwood mac – now that is showing my age! Think outside – no boxes here. Mitch Corner sings for visitors. 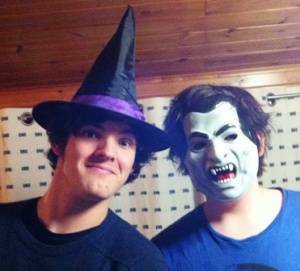 Wow – time flies does it not? I have usually bought my Heston orange Christmas puddings by now and stored them on a shelf with Mums homemade ones for visitors. I have not had anything other than home deliveries for so long its amazing. a quick dash into the shops for emergencies only. hectic hectic. We have had some fantastic Events and lovely Clients and visitors to Kensmyth in the last month and what with cria weighing, micro chipping and ear tagging time just gallops by. Some cold weather and 33 in the barns on several wet cold nights too. 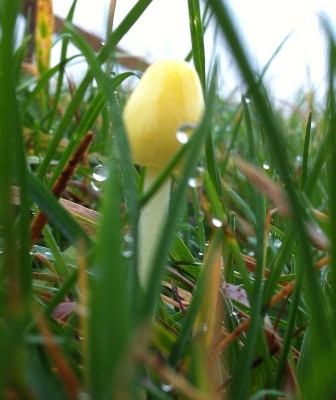 I even managed to fertilise three fields by myself with the spreader whilst the poover was broken – mended now. 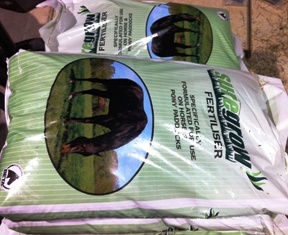 Yes, you can fertilise grass between September and November – don’t look so surprised it works a treat! and naughty cria that will not stand in the pen to be weighed have to be held! Kensmyth the first Alpaca Stud in UK to support the new Disability Sign? Having read the following article in full detail (edited here) and with much empathy, Kensmyth decided to show their full support for the new Sign idea! The stick figure in a wheelchair has become one of the most widely-used and instantly recognised symbols in the world – but a group of American designers want to change this famous icon of disability. Seen on toilet doors, parking bays and practically every public building in the developed world, the International Symbol of Access has been in circulation since 1969. But now a group calling itself the Accessible Icon Project want to give the design a more 21st Century, even paralympic, feel. 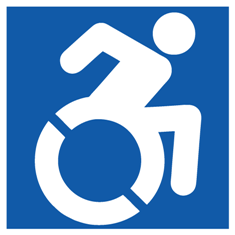 The new icon is based on the old one but shows the figure leaning forward, actively pushing the wheelchair – more David Weir than Ironside. Artist Sara Hendron, a lecturer at Rhode Island School Of Design, USA, is one of those behind the project. She says the new icon started as a piece of “guerrilla art” on the campus of Gordon College near Boston, where she and collaborator Brian Glenney adapted existing access signs by overlaying a transparent sticker of a new active wheelchair user so old and new could both be seen. The designers wanted to get people thinking. Hendron says the new symbol is “a metaphor for self-direction and self determination,” and believes the old one has become politically invisible. She thinks that other similar public information symbols are more dynamic than the classic wheelchair sign and are pictured actively engaging with the world. There’s been interest in the new icon from around the world, from in Italy to India and South America. We have been working hard on our facilities here at Kensmyth and can genuinely now welcome visitors of all ages and abilities. Take a look at our new video and the gorgeous Mitch Corner! 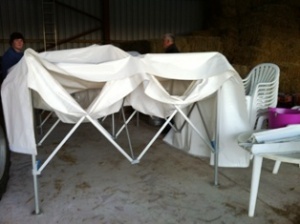 Event marquees at dawn come down in the wind! Well I did say we have been exceptionally busy this season. The events are such fun and so enjoyed, best way of introducing Alpaca on the planet! 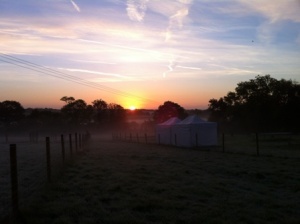 The marquees look fantastic and this dawn photo is super! we had to get them down in a hurry in the past few days though due to high winds – on our little hill in the Cotswolds! back soon with more updates of life on our Alpaca Farm!